Christy Taylor speaks to the Shore Dems at Cripple Creek Country club about a proposed charter school in the Georgetown area, and about her brother, Bryan Stevenson, author of the book ‘Just Mercy’ which is also the subject of an upcoming HBO film. Although many in the area know Christy Taylor as a music instructor and musician, her speech to the Shore Democrats on Wednesday, March 20, centered on a different passion. Taylor — who has taught music in the Indian River School District, as well as other area schools and performs with her all-female jazz band Shades of Blue — talked to the Shore Democrats about her work, along with others, toward the creation of charter school in the Georgetown area. The Proximate Network, which is the group moving the charter school proposal forward, aims to create a school that targets under-served populations in Sussex County, Taylor said. She explained that her experiences teaching music across public and private schools in Sussex County have shown her that “there’s been a void” in the educational spectrum in the area. Taylor said that, as a “parent, a grandparent, and an educator,” she has been shown that there is room for improvement “through action… It’s more than words,” she said. The Bryan Allen Stevenson School of Excellence, Taylor said, would be a high school focused on the youth within a 5-mile radius of the school. Although property for the school has yet to be purchased, Taylor said the group is looking at rural property near Georgetown. “It’s going to be a curriculum that is outside the box,” she said. “It’s going to include yoga… It’s going to be about really mentoring children to understand the concept of service,” Taylor said. It will include a partnership with Delaware State University. The school would focus on two curriculum areas in particular — aviation and farming. 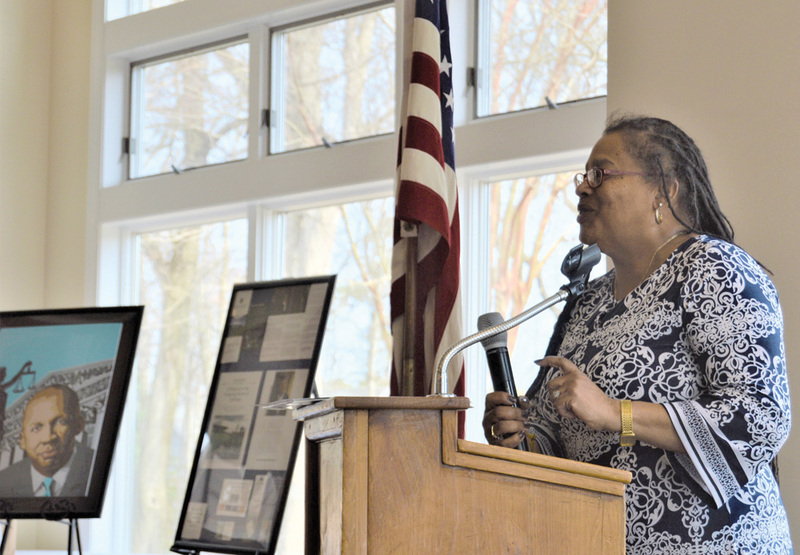 Taylor said, the reasoning behind that is that those are two areas with strong connection to Sussex County’s economy, where minorities are under-represented, and with strong growth potential through innovation. The group is seeking 20 acres or more upon which to build a school, or to use an existing building, Taylor said. The school would use the land to teach plant science and to grow organic vegetables as part of the curriculum. Taylor said there is currently only one farm in Sussex County being run by a black person. She cited 4-H membership figures that show African-American boys as the “most lacking” members of those groups. “What’s exciting about this is that robotics and engineering, and really fun, cool things” that can engage young learners, have entered curriculums, she said, which can lead them into diverse careers ranging from airplane pilot to crime scene investigator. The group plans to open the school to 200 students, with the possibility of offering boarding on the school property in the future. Taylor pointed to the Indian River School District alternative school’s high percentage of African-American boys and said, “It’s sad. It is a housing, it is a waiting area — we know that. There are some bright diamonds there. We would love for them to come to our school,” she said. “We would love to partner with Indian River and Cape Henlopen,” Taylor said, in the belief that the new school could help alleviate overcrowding in those districts. The school would be named after Taylor’s brother, Bryan Stevenson, who is currently receiving national attention because of the success of his book, “Just Mercy,” a film about which is about to be released on HBO. Stevenson is also the founder of the Equal Justice Initiative in Alabama and the force behind the National Memorial for Peace & Justice, also known as the Lynching Memorial. With the school now in the early stages, Taylor said, “We need partnerships; we need letters of support.” The group plans to submit the application for a charter to the Delaware Department of Education by December, and hopes to open the school as early as 2021, Taylor said. For more information on Shore Democrats, email shoredems@gmail.com.